Although a single kidney can function adequately to meet the needs of the body, individuals with one kidney should be extra vigilant when it comes to limiting risk factors for kidney disease. Health problems like hypertension and diabetes adversely affect the kidneys. In addition, many medications cause toxic effects to the kidneys and therefore should be avoided or used with extreme caution. Medications to avoid with only one kidney include analgesics, antibiotics and contrast media used for radiographic procedures. Many antibiotics have the potential to cause acute kidney failure or even permanent kidney failure. According to Donna D. Ignatavicius and M. Linda Workman, authors of "Medical-Surgical Nursing-Patient Centered Collaborative Care," polymycin B, neosporin, rifampin, tetracycline, vancomycin and most sulfonamides can damage the filtering units of the kidney. Patients with only one kidney should talk with health care providers to discuss alternative antibiotic options if available. If no other antibiotic class will do the job, then patients require kidney function assessment before and during antibiotic therapy. Billie Ann Wilson and colleagues, authors of "Pearson Nurse's Drug Guide 2010" report antifungal medications like amphotericin B, pesticides and radiographic contrast media can cause nephrotoxicity. Nephrotoxicity, or acute impairment of the filtering function of the kidney, is characterized by decreased urine output, blood in the urine and fluid retention. Symptoms must be caught early to prevent permanent kidney failure. Patients receiving these chemical agents during the course of medical care require close monitoring throughout therapy. Some medications used to treat cancer may damage the kidney. A patient with only one kidney will have to decide in partnership with their physician whether the benefit of the therapy outweighs the risks. Cisplatin, methotrexate and cyclophosphamide are three chemotherapy agents used alone or in combination with other anti-neoplastic medications that have the potential to cause irreversible kidney damage. Some health problems are treated with heavy metals like gold salts and bismuth. These substances have the potential to cause renal failure. Patients require close supervision, especially those with only one kidney, while taking these heavy metals. 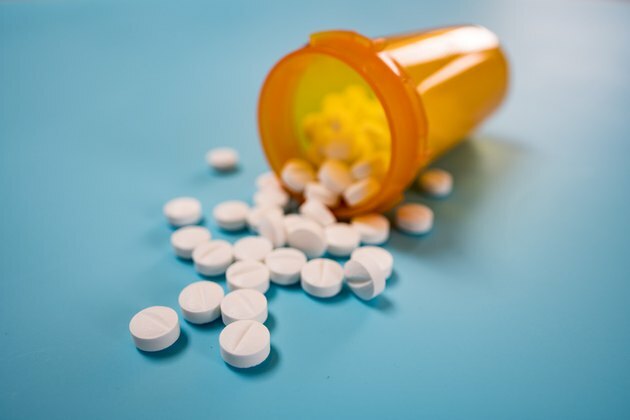 Non-steroidal anti-inflammatory drugs like ibuprofen, naproxen, celecoxib and ketorolac are most notably associated with kidney damage when taken for long periods of time or in large quantity. However, even acetaminophen can have negative repercussions on kidney function if not taken with caution.